Can you tell me what type of sone this is? Is this a custom cabinet. I love it, can you give me any more into? - I would like to do something like this for a powder room vanity. RJ Dailey Construction Co.23. 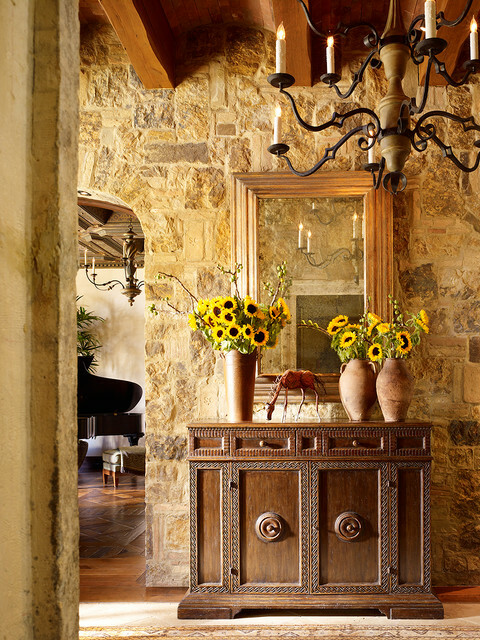 A large rectangular mirror reflects the sunlight around this Mediterranean-style room.